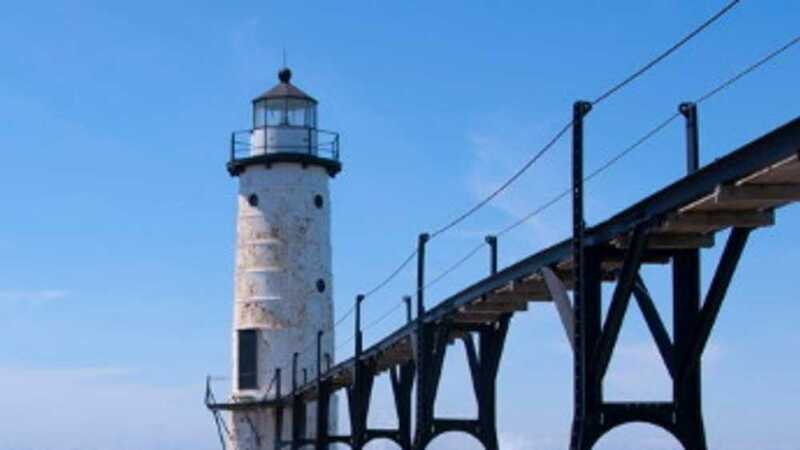 Located in Manistee county, on the west end of the north pier. The light was replaced in 1873, when the new structure was augmented with a combination fog signal and light tower at the end of the wooden north pier. To make access to the light safer during stormy weather, this new light was outfitted with an elevated wooden catwalk running from the shore to the light.